Are you thinking of selling or renting your home? A proven tool in home marketing is the Multiple Listing Service or MLS. This service is used by professional real estate agents and brokers to showcase homes for sale or for rent. Each home listing includes extensive information about the features of the home, as well as photographs and sometimes videos of the property. What Are the Benefits of Using the MLS? The MLS is viewed online and streams homes for sale/rent to buyers/renters all over the world. Once a home listing is active (for sale or for rent) on the MLS, it is syndicated to multiple real estate websites reaching an average of 150 millions of potential buyers /renters (e.g., Zillow, Trulia, HomeFinder, Redfin, Realtor.com, to name a few). Who is Allowed to Use the MLS? Customarily, you need to hire a professionally licensed broker or real estate attorney to enjoy the benefit of listing on the MLS. These professionals earn commission by marketing your home for sale or for rent on the MLS. The MLS has been a proven tool in the real estate industry for decades. How Can I Use the MLS Without A Real Estate Agent? The good news is, beycome is an innovative service designed to help you learn how to list on the MLS without a /broker real estate agent. beycome has already saved its users over 18.8 million to date, and that figure is growing every day. Homeowners who use a website that facilitates real estate transactions reap the benefits of worldwide exposure to millions of buyers/tenants, without the substantial cost of a real estate agent. beycome is a licensed Florida, Illinois Real Estate Brokerage Corporation. With beycome you have the freedom to list your home on the MLS databases all over Florida and Illinois! Is the MLS Complicated to Use? There is nothing complicated. If you want to learn how to list on the MLS beycome offers a one-stop solution right at your fingertips in the comfort of your own home or office. beycome’s many satisfied customers don’t need to labor over the Handbook on Multiple Listing Policy 2018. The knowledgeable beycome real estate expert staff and user-friendly software provide a clear path to success. Would you believe you can enjoy a listing on the MLS within one business day? Well, you can with beycome! 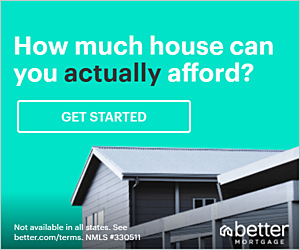 How much does it cost to list on MLS with beycome? At beycome, you decide how much you want to spend. beycome created three effective listing packages that provide a lot of benefits for a reasonable price. In addition to learning how to list on the MLS, you can choose a package that includes home flyers, yard signs, a lock box, photographs and even videos! Once you choose one of the three, first-rate listing package options, you’ll be happy to know; there are no hidden fees with beycome. By using the sensational technology provided, consumers can easily do all the work previously done by a real estate agent for one low-priced, pre-determined fee. Even updates to your MLS listing are free! Your listing will not expire. Your property will remain active (for sale) on the MLS until you close or cancel the home listing. How Can I Use beycome to Sign Up for the MLS? beycome makes learning how to list on the MLS easy as 1-2-3-4-5! Complete the MLS specific questionnaire – here’s where detail counts! Plan to include as much specific information as possible about your home for sale. Did you upgrade an item like adding a new A/C unit? That’s important info! You will want to paint as complete a picture as possible for your potential buyer so, don’t leave those little details out. Are you getting excited about learning how to list on the MLS? Have you considered the worldwide exposure your property will receive once you learn how to list on the MLS? Better yet, are you thinking about all the money you can save by working directly with beycome to list on MLS? How To Hit a Home Run With Your closing! There is a creative marketing side to managing your home sale/rent. It’s not all about the numbers. It’s also about standing out from the crowd and showcasing your home in the best possible light. Buyers have many homes to consider in their search. There are ways you can increase your chances of grabbing the attention of buyers. With their extensive knowledge of real estate marketing and sales, the expert team at beycome has already designed a clear, easy-to-use system for learning how to list on the MLS. Now it’s your turn to make the most of your MLS listing. Don’t blow your market debut with a pie-in-the-sky price. Of course, you want to leave room for negotiation but, keep it reasonable. If you price your home too high, area buyers will get discouraged, and the listing will experience less and less activity until it becomes cold. Research supports the faster a home sells, the higher a price that home sells for so; keep this in mind. When buyers see a home lingering on the market, they smell blood and here come the low offers! Pricing your home accurately albeit, a bit optimistically when it debuts on the market, is essential. You can easily learn how to price your home so it sells for top dollar just like a professional real estate agent. Also, be sure to check out your competition. Existing homes for sale influence the value of your home. If your neighborhood has many homes on the market, you’ll need to be savvy to even the playing field. This is not the time to be overly confident. If your neighborhood has few homes for sale, this gives you a bit more room to price the home on the higher end. There are trade secrets to help you make the most out of your home for sale. Professionals use techniques for maximizing furniture layout and enhancing design elements called staging. By properly staging the home, you set the stage for the buyer’s imagination. Clarifying the use of rooms so buyers understand how they might live in the home is imperative. A dining room turned into a makeshift office will confuse buyers. A messy kitchen countertop covered in clutter hides the functionality of the kitchen and potentially the beauty of one of the most important rooms in a home. Clear out clutter and stage the home effectively, encouraging buyers to walk in the door and see themselves living there. These techniques are proven to work. You don’t need to go to the expense of hiring professionals. You will find a wide array of staging tips on line. Don’t forget the importance of Curb Appeal! Your potential buyer’s first impression will be a lasting impression. Tidy up, spruce up and put out the Welcome mat! Check out inexpensive curb appeal ideas that will add to your home’s value. Are you interested in taking photographs of your property for sale? There are insider tricks and tips to help you take eye-catching listing photos. Say Cheese! Use a real estate photographer’s check list when taking photos and learning how to list on the MLS. Are you eager to save a tremendous amount of money? Are you ready to learn how to list on the MLS like a real estate professional? The millions of dollars saved by beycome customers is increasing every day. Be part of this savvy trend and take control of your home sale. Trust beycome to teach you how to list on the MLS and substantially increase the profit from your home sale, not just by a few dollars but by thousands of dollars! beycome keeps it simple and keeps it profitable! I liked what you said about MLS being viewed all over the world. It sounds like it provides a huge platform. It is definitely something that we’ll try out when we go to sell our house. Thank you!